1. 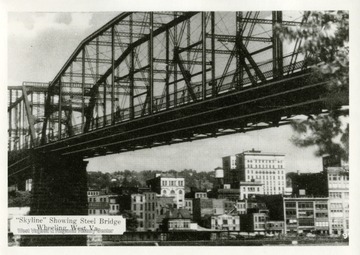 Skyline Showing Steel Bridge, Wheeling, W. Va.
Skyline Showing Steel Bridge, Wheeling, W. Va.
3. 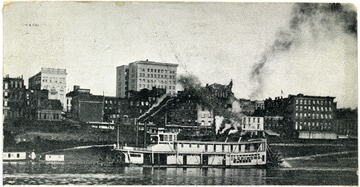 Steamboat Clerimond and River Front View, Wheeling, W. Va.
Steamboat Clerimond and River Front View, Wheeling, W. Va.
Post card sent May 20, 1908. Gen. no. 225, neg. by D, No. 130. 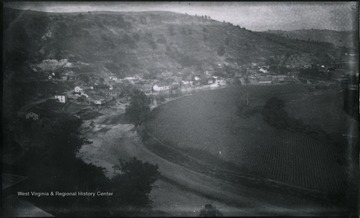 Date 1884, August 18. 5:25 P.M.
Gen. no. 226, neg. by W, No. 97. 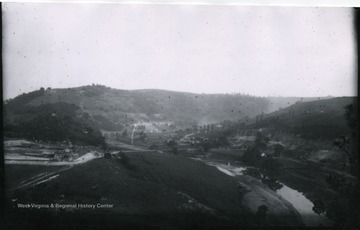 Date 1884, August 18. Monday 5:30 P.M.
7. 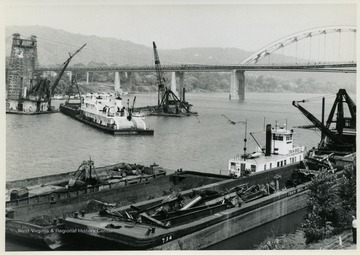 River Cranes, Barges, and other Working Vessels on the Ohio River, Wheeling W. Va.
River Cranes, Barges, and other Working Vessels on the Ohio River, Wheeling W. Va.
8. 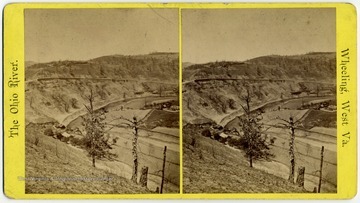 McColloch Leap and National Road, W. Va.
McColloch Leap and National Road, W. Va.
Construction on the National Road near the Ohio River. Published and sold by E. L. Nicoll, under the McLure House. 9. 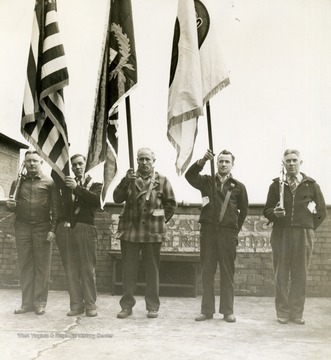 Lt. Col. Thomas H. Eddy of the United States Army Addressing the Employees of the Wheeling Plant of the Wheeling Corrugating Co., Wheeling, W. Va.
Lt. Col. Thomas H. Eddy of the United States Army Addressing the Employees of the Wheeling Plant of the Wheeling Corrugating Co., Wheeling, W. Va.
Photo taken during the Army-Navy Award presentation inside of the Capitol Theatre in Wheeling, West Virginia. The presentation was broadcast on over 127 radio stations of NBC's Blue Network, including the Wheeling Steelmakers radio program. 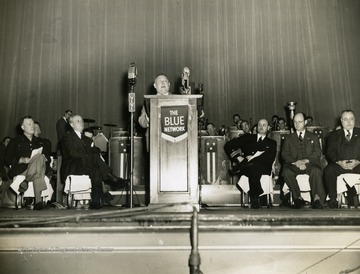 The Wheeling Steelmakers radio broadcast was moved to the Capitol Theatre in Wheeling, West Virginia in 1939 as production became more polished and more and more listeners tuned in. 10. Employee Color Guards Form Outside Capitol Theatre Before Employee Parade is Formed to Return to Wheeling Factory, Wheeling, W. Va. Employee Color Guards Form Outside Capitol Theatre Before Employee Parade is Formed to Return to Wheeling Factory, Wheeling, W. Va.
11. Mr. Henry D. Clouse, President Local Union 248 U.S.W. 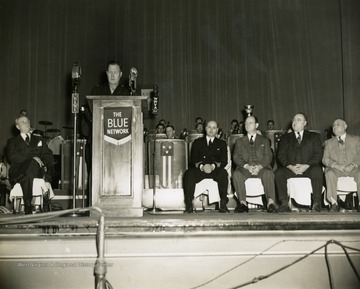 of A, Delivering Acceptance Speech For the Employees of Wheeling Plant, Wheeling, W. Va.
Mr. Henry D. Clouse, President Local Union 248 U.S.W. 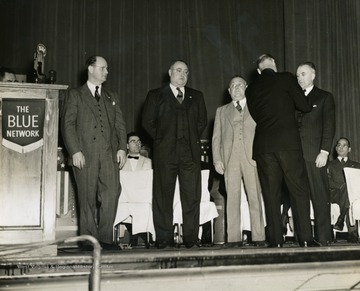 of A, Delivering Acceptance Speech For the Employees of Wheeling Plant, Wheeling, W. Va.
12. Lt. Commander Charles M. Royal, Presenting Army-Naby 'E' Pines to Mr. M.E. Marsh, Mr. A.K. 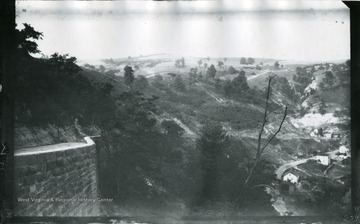 Monroe, Mr. Henry D. Clouse, and Mr. John R. Grundy, Wheeling, W. Va.
Lt. Commander Charles M. Royal, Presenting Army-Naby 'E' Pines to Mr. M.E. Marsh, Mr. A.K. 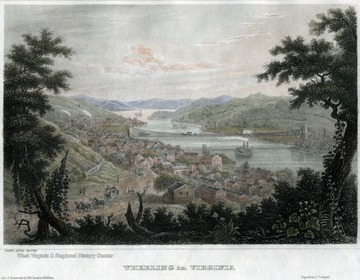 Monroe, Mr. Henry D. Clouse, and Mr. John R. Grundy, Wheeling, W. Va.